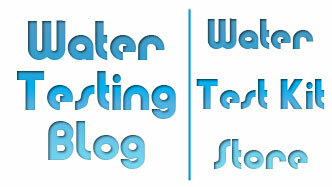 As much as all of us at Water Testing Blog would like to THINK the items we buy from the store do not contain potentially dangerous levels of things like lead, chemicals, etc., we certainly know BETTER than to allow ourselves to believe a lie like that. Question: Who besides us remembers the tragedy of kids’ toys and jewelry containing higher than acceptable levels of lead? Yeah, we thought that would ring a bell or two. Next question: Who besides us remembers playing in the yard on a hot Summer day, getting thirsty and then taking a nice long drink of cold water out of the garden hose? We certainly do! Mom would have YELLED at us if we dared go into the house with dirty shoes on every time we got thirsty! Well now we, as parents, may want to think twice about the hassle of vacuuming up the tracked in grass and dirt from our little ones… because recent studies have shown that a good number of garden hoses contain and give off potentially hazardous metals like lead. Well looky here … HealthyStuff.org, an offshoot of the Ann Arbor-based Ecology Center, is an environmental nonprofit that has tested just about everything under the sun for the presence of toxic chemicals ranging from car seats to handbags. Recently, the group extended its reach into the garden shed and the results, released late last week, may find you thinking twice the next time you give Fido a sip from the garden hose on a hot summer’s day. 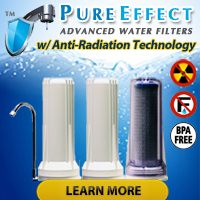 So, after reading all that bad news and knowing that most companies have made serious efforts to rid products of potentially dangerous lead levels, BPA, phthalates, and additives known to leach out of various plastics in recent years… just how badly did WE get dosed with all that garbage BEFORE consumer advocacy groups put pressure on big business? For the complete article and tips on how you can currently minimize your exposure to harmful chemicals and compounds in gardening tools, supplies, hoses, apparel, etc., you can read the full article here.